Huawei has slammed charges brought against it by the US Department of Justice (DoJ), complaining that requests to speak with authorities were inexplicably denied and that it has already been cleared of stealing trade secrets from T-Mobile US. The rebuttal came as Australia's TPG Telecom backed out of plans to build a fourth mobile network because of a government ban on Huawei Technologies Co. Ltd. and with Germany's Deutsche Telekom AG (NYSE: DT) warning that any similar restrictions in Germany would delay 5G rollout by at least two years. In a statement, Huawei said it was disappointed to learn of the charges. "After Ms Meng's arrest, the company sought an opportunity to discuss the Eastern District of New York investigation with the Justice Department, but the request was rejected without explanation," it said. "The allegations in the Western District of Washington trade secret indictment were already the subject of a civil suit that was settled by the parties after a Seattle jury found neither damages nor wilful and malicious conduct on the trade secret claim." Huawei added: "The company denies that it or its subsidiary or affiliate have committed any of the asserted violations of US law set forth in each of the indictments, is not aware of any wrongdoing by Ms Meng, and believes the US courts will ultimately reach the same conclusion." Michael Genovese, a financial analyst with MKM Partners, said there was now a "higher than 50% probability" of such restrictions. Huawei's network equipment and devices rely on components from optical equipment makers such as NeoPhotonics Corp. (NYSE: NPTN) and Lumentum Holdings Inc. as well as semiconductor firms including Qualcomm Inc. (Nasdaq: QCOM). While less heavily dependent than ZTE on US components, Huawei could suffer badly if any restrictions came into effect. In Australia, which has already banned Huawei from participating in 5G tenders, cable operator TPG today said it would stop work on a new mobile network it was building with the Chinese vendor. Source: Light Reading, various news outlets. According to reports in the mainstream press, TPG executives now think it makes no sense to continue building a 4G network that cannot be upgraded to 5G. 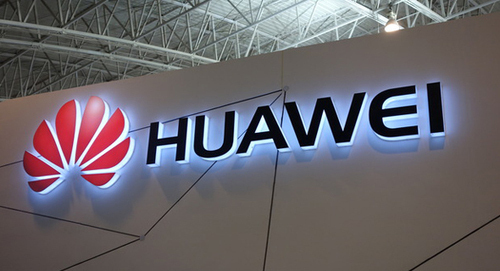 "The company has been exploring if there are any solutions available to address the problem created by the Huawei ban but has reached the conclusion that it does not make commercial sense to invest further shareholder funds (beyond that which is already committed) in a network that cannot be upgraded to 5G," TPG is quoted as saying by various press outlets. On Twitter, Huawei's Australian office has responded to the TPG move with a series of messages, writing that: "TPG's move is extremely disappointing for Australian consumers and businesses. As predicted, the Australian government's 5G ban on Huawei will lead to reduced competition and higher prices for Australian consumers and businesses." TPG’s announcement is extremely disappointing for Australian consumers and businesses. As predicted the Australian Government’s 5G ban on Huawei will lead to reduced competition and higher prices for Australia consumers and businesses. With some government officials in Germany said to be in favor of a similar Huawei ban, Deutsche Telekom, the country's biggest operator, has warned in an internal assessment seen by Bloomberg that excluding Huawei would seriously hinder 5G rollout in Europe. Its warning of a two-year delay, and significant associated costs, could reflect the difficulty of removing Huawei from both the RAN and the core, especially as most initial 5G deployments will use a 5G RAN in conjunction with the 4G core. The clampdown on Huawei and ZTE is likely to benefit European rivals Ericsson and Nokia Corp. (NYSE: NOK), which along with South Korea's Samsung Electronics Co. Ltd. (Korea: SEC) represent the only viable alternatives to the Chinese companies following years of industry consolidation. Nokia is due to report its fourth-quarter results on Thursday.